Alarm Monitoring Options for a Safewatch Pro 3000 System? The ADT SafeWatch Pro 3000 is not produced or manufactured by ADT. This panel is actually a Honeywell Vista 20p wired security system. This is fantastic news for end users who have this system because there are so many options for upgrading to alarm monitoring, remote control using smart devices, home automation, IP cameras, text/email notifications and easy DIY installations/monitoring. If you have been researching about alarm monitoring you may be wondering if your Safewatch pro 3000 systems can use Alarm.com interactive monitoring services? Well, the answer to your question is yes! You must have a panel made from 2005+ which can be verified by looking on the Safewatch pro 3000 EPROM chip. Alarm.com has created the SEM or system enhancement module. The SEM is an alarm.com cellular communicator that can be directly installed into the 3000 system without having to replace the EPROM chip. One of the best features of the SEM is that it makes obtaining z-wave home automation much easier. The system enhancement module has the z-wave radio built directly in the plastic enclosure making DIY installation very easy. Another benefit of the SEM module is that it has an option for an LTE communicator. LTE stands for "long-term evolution" which basically means they expect the customer to get more years out of the communicator and expect a bit better performance. The Alarm.com SEM module at this time cannot utilize the image sensor option yet. Once installed to your ADT Safewatch pro 3000 system you can choose between alarm.com professional alarm monitoring services or DIY alarm monitoring options. 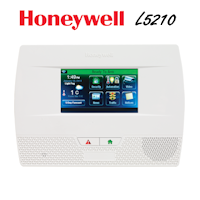 If you are still interested in going with Honeywell Total connect 2.0 interactive monitoring services instead of Alarm.com services you can upgrade to a Honeywell internet, cellular or dual-path alarm communicator ending in -TC2 you can upgrade the panels firmware by swapping the EPROM chip allowing for usage of all Honeywell features Including Total connect 2.0 services. I will go over all of the options for monitoring listed below. 1) If you would like DIY or professional internet interactive alarm monitoring only and wish to have the EPROM chip upgrade there is a way to accomplish this as well. 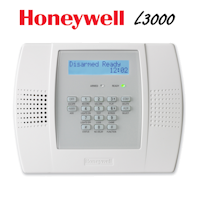 To do this you would simply purchase a Honeywell IGSMV4G-TC2 dual-path communicator and sign up for Honeywell Internet interactive alarm monitoring services. Once you have your activation appointment your tech can simply turn off the cellular portion of the IGSMV4G-TC2 to only communicate using the broadband abilities. Though this is NOT the most recommended option because internet lines are more prone to going down and they can be cut from the outside we like to give end users every bit of information. 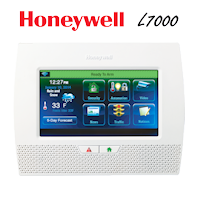 When using this option you still do unlock most of Honeywell's features such as GEOARM being able to remotely access your alarm panel to assist you with programming and troubleshooting using our Compass software. You can now have access to Total Connect 2.0. 2) Your second option will be to opt in for Honeywell DIY or Professional cellular interactive alarm monitoring services. This option will have an additional option which is quite handy in some applications. Here you can get the Total Connect 2.0 chip upgrade with 3 products. The Honeywell GSMV4G-TC2 which is an option that comes with its own battery backup. This means that in the event that your power fails this communicator will not piggyback off of your Safewatch pro 3000 battery for quite some time. The GSMV4G-TC2 only uses AT&T cellular towers so, make sure that you have good cellular signal strength in your area before going this route. Next, is the GSMX4G-TC2. The GSMX4G-TC2 is also using AT&T network it is a little bit less expensive but does not carry its own backup battery. Lastly, Honeywell has made an excellent choice by adding the CDMAX4G-TC2 which offers the same features as the GSMX4G-TC2 except it uses the Verizon network. So if you have better Verizon signals in your area your only option will be to go with the CDMAX4G-TC2 if you want Total Connect 2.0 abilities. 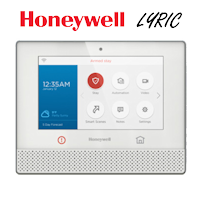 3) If you have been wanting to have Honeywell Dual-Path interactive alarm monitoring services you will have only one product to allow for Total Connect 2.0 services the IGSMV4G-TC2. This product will come with the TC2.0 EPROM chip upgrade as well as the dual path communicator. Once you have installed this communicator and chip combo Geoarm can provide to you all of the features we discussed in the previous options. The only thing that sets this setup apart from the others is that it is the most reliable in the sense that it communicates via the internet primarily and then uses the cellular as a backup. 4) The last option to take over alarm monitoring on an ADT SafeWatch pro 3000 system is by using a universal cellular communicator. There are a few different options as far as universal cellular communicators that can be used but, for this article, I will use the Telular Tg-1 express universal communicator because it is our most commonly sold. By simply powering down your alarm system and wiring in a Tg-1 express you can have your alarm signals forwarded to our central station with Telguard cellular alarm monitoring services. This option will give you no real additional features but, if you are just looking for basic professional alarm monitoring services this will do the trick. If you are looking to reduce your monthly alarm monitoring rates for your home or business make sure to contact AlarmClub at 1-844-335-5897 for your free consultation! *We are usually able to take over just about any kind of security system so don’t hesitate.